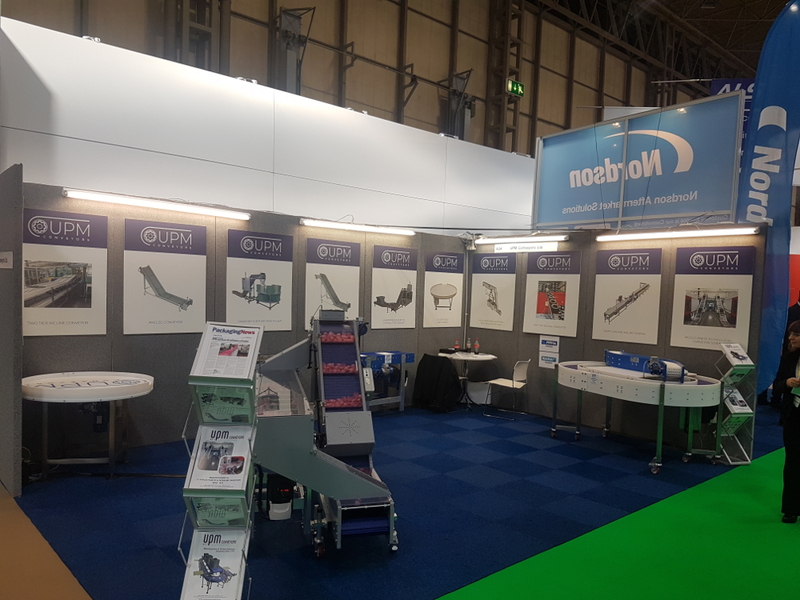 This year, we returned to the annual PPMA show – the Packaging Machinery and Manufacturing Show at NEC – and are pleased to report it was the best exhibition we have ever had as a company, in our 45 year history. Exhibiting at stand A34, we secured orders in the first two hours and spoke with a number of individuals and companies looking to benefit from automation solutions for product handling. We were able to perform demonstrations on our stand and had a range of brochures available to take home. One of the larger potential orders from attending the event was a £500,000 system project from a major blue-chip multinational company. This would involve 3D modelling and creating a bespoke turnkey product handling solution. We have now attended every PPMA Show which originated with Total, and look forward to our attendance in 2019 on stand D22. Further to this we will be exhibiting at Interplas, PDM and Southern Manufacturing. To speak to one of our team about our automated product handling solutions, please call us on 01753 548 801 or email sales@upm.co.uk. As part of our process, we create bespoke solutions that best suit your business and goals.